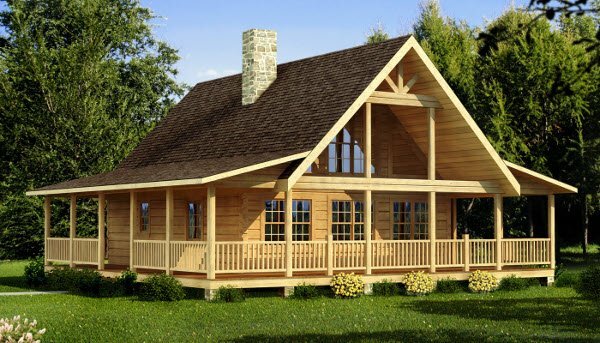 The Carson from Southland Log Homes is the perfect size plan for nearly any piece of land. With windows on all sides, the home can be oriented to take advantage of the most spectacular views. 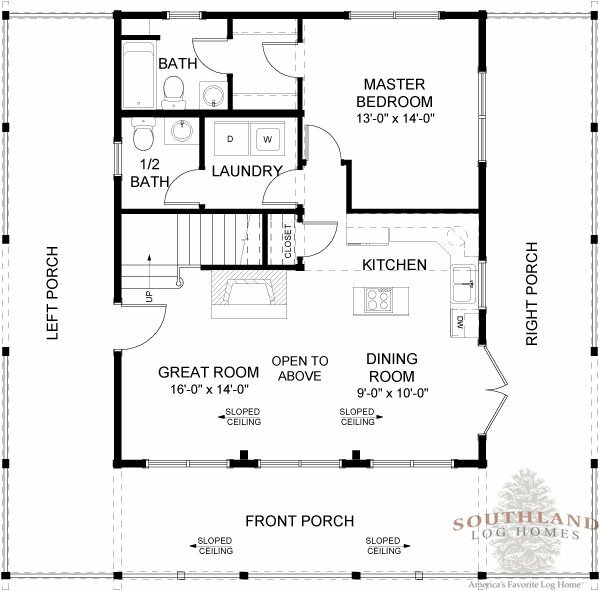 With covered porches on three sides, there is ample room for a hot tub, grill, or almost anything necessary for entertaining large parties, or for quiet evenings alone. Inside the home, the living area features a fireplace on the interior wall, keeping external views free for your enjoyment. The kitchen, dining room, and great room are all open, allowing conversations to continue no matter where you’re located in the home. Its private master suite allows for a retreat away from the business of the rest of the home. 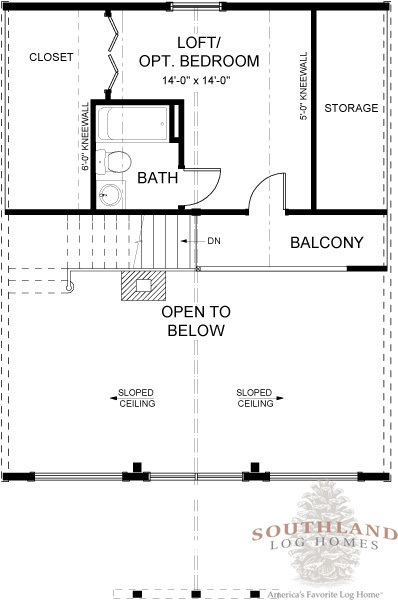 Upstairs you’ll find a full size bath and bedroom or open loft with lots of storage – you choose. And of course the best part of any Southland Log Home is your ability to customize any floor plan to create the log home of your dreams. Could this be it?